I have wanted to write about this for ages. There is a video of Mohammed Rafi singing O Duniya Ke Rakhwale that I have watched countless number of times and still am not tired of it. In fact I have watched several videos of Rafi singing live, and continue to watch, being a die-hard fan of Rafi. It was a live show on Doordarshan with a complete live orchestra, with Naushad conducting it. It was the most wonderful and enriching 15 minutes of my life. We all know what a lovely, emotion-packed and moving song O Duniya Ke Rakhwale is. And to watch Rafi sing it live is a great experience. And what a rendering! The myriad emotions that flit across his face. This is basically a song of pain and sorrow, love and devotion and sacrifice. Of course every singer is moved when singing a deeply emotional song. But this is quite something else. Rafi was never one to sing for effect or fame. He was the ultimate ideal singer. A being almost mythical and so difficult to find a parallel for. As if he were born just to sing great songs. Rafi has his eyes half-closed when he starts to sing and it seems as if, for him, this is not a recording but an offering of prayer, love and lament. It is as if he is completely unaware of his surroundings but the song, the emotions and the music. His self is lost in the music. He has simply lent himself to be the song and the words. Rafi the man takes a backseat as O Duniya Ke Rakhwale comes to the fore. This kind of selfless singing is rare to find. A reflection of the kind of man he was. The part where he finishes singing Ab to Neer Bahaa Le and opens his eyes slightly, his face reflecting the abjectness portrayed in the words is heart-wrenching. When he sings Aag bani saavan ki barkha, Phool bane angaare, Naagan ban gayee raath suhaani, Pathar ban gaye thaare,Sub toot chuke he sahaare, Oh…jeevan apnaa vaapas lele, his face shows such pain and involvement and humility as to visibly move the listener to tears. This is such profound singing. In fact, even if the video were muted for a while, one would be moved just watching Rafi. Such is his involvement in his music. He took it as a religion. Respectful, passionately devoted, serious and full of love and selflessness. During the singing of these lovely lines Oh..kismath pootti aasna tootti, Paav mein pad gaye chaale, Oh dhuniya ke rakhwale it is as if he himself is feeling all the emotions that the words are protraying. It is a visual treat to watch Rafi sing, and watching him sing, one feels small and insignficant. He exudes the feeling that he is, after all, a mere catalyst, a medium for this beautiful song to be passed on to us to be absorbed and enjoyed. The humility is so evident. This video has always struck a chord in me. Somehow, watching it has always brought to my mind of how similar Chandan is in his approach and portrayal of a song to Rafi. No, I am not saying Chandan is Rafi’s equal or that he sings just the way Rafi used to. I know for a fact that Chandan would neither agree to, nor like, such a comparison, as he happens to hold Rafi in the highest regard, unparalleled, upon a pedestal. I am talking about the way Chandan gets involved in a song completely, delivers it with deep emotion and feeling and forgets himself, so much so, that he becomes the music, and gives himself up to the song instead of infusing his personality, his creativity, into it. There is no place for creativity in such songs, or rather, in songs sung by great singers like Rafi and set to tune by composers like Naushad. They have created priceless gems that can only find their parallel in a creation of nature. Can one inject creativity into a mountain or a tree to make it more beautiful? It is as if there is no self involved here. I can say this with conviction because I have watched him sing and heard him hundreds of times. The song becomes him. And he becomes the song. This is how a singer must treat his singing. Selfless, involved and passionate, removed from himself. I see the same passion in Chandan’s singing. The same pathos, sincerity, innocence and faith and not least, the whole-heartedness that Rafi had and poured into his singing, I find in Chandan’s renderings. When he takes up a song, it is as if he has met a kindred spirit and embraces that song wholeheartedly and joyously and lovingly. Just the way Rafi sang his songs. How does Chandan do it? I know that he does not do this consciously. It is just there in him, an inherent trait. When he sings, it is as if Rafi is in him and he is in Rafi. An involuntary personality change that brings about sheer magic musically. This is not some exercise in eulogy that I am writing. I am just trying to say what my and perhaps many other discerning listeners’ perception is about Chandan. His mastery over diction, be it Hindi or Urdu. The way he takes pains to ensure that each Urdu word is pronounced perfectly, a feat that might be perceived as difficult for a person not from the North. In fact, there is a general presumption that people from the South do not have proper diction. Even if they do, the idea is so firmly set in some close-minded people’s minds that even when the diction is perfect, they feel an unwarranted urge to hunt out mistakes! The efforts he takes to pronounce the lyrics correctly are commendable. In fact, various times, at shows and mehfils, people have taken Chandan to be from the North! One of the reasons could be his name which suggests a North Indian flavour and the other very valid reason is that his singing in Hindi and Urdu is so natural, despite these two languages not being his mother-tongue. This is why his singing is a success. He is well-known, successful and a very good singer. But what I mean by success here is different. Success here would mean being able to sing a song that one loves perfectly, as near to the original as possible and derive satisfaction from it and from the fact that the people listening also feel happy with such a rendition. Criticism is something that will always accompany greatness. For every good, there is an evil. Constructive criticism is welcome. But where the listener transfers his personal likes and dislikes on to the performance of an artist and brands it unfit or below standard or finds some fault or other, if only to belittle the artist then such criticism is to be ignored. Rafi must have had his fair share of ill-wishers and critics denouncing his way of singing, his voice, his diction or something or the other. But did that stop him from singing his way to success and glory? Such petty matters would never have shaken him from his path of musical perfection. He never lost his focus on music. I have seen Chandan deal with such ill-wishers and critics in the same way. He simply ignores them. Gracefully accepts constructive criticism. And does not reply to intentional insults. Which is the mark of a truly good singer. This is such a Rafi-like trait and so difficult to achieve unless there is genuine love for one’s art. Have I seen Chandan up close while singing? The answer is no. I have seen him sing on stage and have heard his recordings. So where do I see such poignancy, grief and pathos, passion and sincerity, perfection and artistry in him? I see all these, nay, hear all these, in his voice. In the way he sings. In the way he understands the song and the singer. I know there are many many singers out there who sing just as well, just as sincerely, and just as beautifully. But I am an ardent Rafi follower and have been for years and years. And I know none better than Chandan to sing a Rafi song. This entry was posted on Sunday, July 8th, 2012 at 6:01 pm	and is filed under Meri Awaaz Suno. You can follow any responses to this entry through the RSS 2.0 feed. You can leave a response, or trackback from your own site. Rafi is the master of all the singers…he is above everyone…He cannot be replaced or overdone. He should be worshipped! He was an incarnation of God. yes indeed. ram tirath is a great singer and we will get to hear some of his sweet nuggets at new delhi. we have specially called him to spice up the mohd rafi musical evening. i have so far not heard ram tirath. and, i will like to hear a singer directly in an auditorium and make an opinion. so i will do that on July 31st hopefully. we all liked our afghan rafi saaheb singer for his great ‘sur’ while essaying the number. i have heard too much from too many friends about ram tirath and i wish him well and also hope that he would be in the right spirits to present his skills as a top order mohd rafi singer before an elite audience in delhi. let me add that a lad of 17 years and few months ‘is’ making waves in mumbai…………and is cultivating and attracting great number of music lovers. let, an army of good singers rise and sway the audiences. this will be good for the aura of golden era songs. I made it a point to listen to the Afghan singer. He was brilliant!! But then my thoughts went back to the magical Rafi Nite organised by Rotary Indiranagar Bangalore called ‘Adaab Rafi’ in which Ram Thirath had rendered O Duniya Ke. Kindly permit me to say, Ram Thirath scores over his Afghan counterpart in the intensity dept., otherwise it’s 19/20 difference. I have a video link for that very rendition, taken from a mobile phone. Kindly ignore the poor video & pls listen to the ‘entire’ audio. The live experience was five times better & the crowd response was spontaneous. He got a standing ovation. lets not give too much imp to the author & the singer Mr Chandan here. Our sole aim is to share innumerable info, anecdotes, feelings, emotions, sensuality, & various moods that rafi sahabs songs evoke amongst the readers of the forum. Lets move fwd & contribute, in our own humble & small way to spread rafi sahabs contribution to the society at large which is continuous, selfless & unparalleled. Lets get the efforts for Bharat ke ratna Rafi sahab the much awaited Bharat Ratna. Why should partisan & divisive policies hold back this much deserved award to a soul like Rafi sahab? Why only to one (female) singer?? The political machinery & bureaucratic hurdles must answer this to the people of this nation. Pls listen to “afghan singer singing Bhagwan, Oh duniya ke rakhwale my friends on youtube. and also do comment herein for a good and healthy discussion. many have thought “it” to be a original mohd rafi recording. his picture is in the background…..this is what many singers “do” to gain Publicity in the name of mohd rafi ji. they want to declare themselves as another mohd rafi and duly fail comprehensively. They put their pictures Highlighting them ….. these singers will pass by as mohd rafi is for real and forever. maybe, the auther is in a hurry as age also seems to be catching up with the singer. there are man y great singers currently touring the usa and giving great mohd rafi concerts in sixty cities or more. they are srikant narayan and samir date. they sing mohd rafi songs so well that they are in demand all the time. to sing 20 mohd rafi songs at one stretch is a great task and the audience ask for more. in north india, mr ram tirath is a big name. one of the biggest name is anil bajpai who has giv en hundred s of musical to capacity crowds. the morale is one cannot ‘impose’ a singer by writing on this website just like an actor cannot impose his son or daughter on the bollly wood pictures. they can do it once or twice. Ultimately quality counts and not articles. stop this adventure dear author and lets enjoy mohd rafi original songs and do write on these as a dispassionate person. honestly i have heard chandan’s name for the first time, .. is he really that good a singer who can be compared with rafi saab..!! one suggestion–let us do something more constructive like compelling govt of india to confer bharat ratna to rafi saab rather than indulging into fruitless activities like this..
mohd rafi is the singer of all mood and there is no singer who he sing mohd rafi all mood songs………. All i have said that every one has an opportunity to improve and one must motivate people who take the trouble to write. I have no doubt that many Rafisaab lovers are doing a great job and this author is also a big Rafi saab fan. I have already said that positive criticism is good and I have also said that the focus of the article must be on Rafisaab and not anyone who sings his songs. I am sure the author is an intelligent person and would get the message. 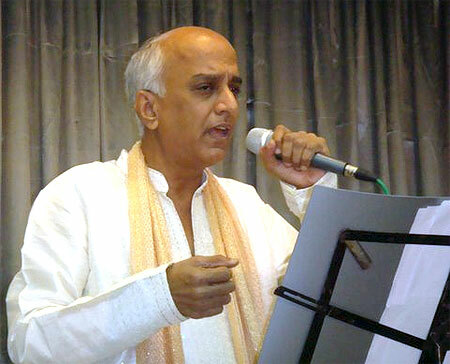 There is only one singing guru and that is Rafisaab and no one can sing even 1% like him, no one. Hope this explains what i initially was trying to state subtly. Please stop praising imitators of Rafi Saab. Praise the praise-worthy that is Rafi Saab in whose memory this site has been created. With regard to writing skills (our dear rafian Salim K Saab) pointed out, I do not understand what writing skills had he seen in this article. You find plenty of other Rafi Lovers (contributors) who silently did so much service to propagate Rafi Saab and his works in their own styles, I salute all those rafians for their untiring and relentless efforts, writing article after article. If you insist, I can write their names too, who they are (Rafians). rafi saab singing this great song.can i? I heard Chandan on youtube. Can’t understand the author’s frame of listening that he compares with rafi sab. Someone notice the size of the picture shown in this article, whereas Rafi Saab picture (small size) and the picture of chandan is almost bigger than postcard size. As if this site own by chandan. I request the administrator of this site to edit this write-up and take off the last two big paragrahs which were written keeping in mind with the sole intention of eulogizing chandan. I can show you more talented singers, I mean imitators of rafi Sahab, they did not get such publicity, then why this man chandan??????? Face book has already given that mutual admiration society status to the self-propagating people, why should they invade rafi site for their mutual admiration. This site has been created solely for rafi saab, what else one can expect and can write other then rafi saab. The mixture of admiration will not match and is not the ethics of this site. The major contributors should also know this fact prior to support undeserving people. 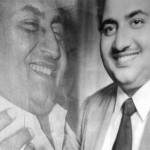 I must remind myself that this is a Forum for Mohammed Rafi Sahib and is lovers and posts are for Rafi Sahib, of Rahib Sahib and by (lovers of) Rafi Sahib and that is all to it. Aparna Sridhar is talking about Chandan Das and placing him on par with the Great Inimitable Soul Mohammed Rafi Sahib which is very painful and anguishing for a True Lover of Rafi Sahib like me ! Please do not cause me pain and agony by placing such articles here on this Forum for God’s sake ! I have heard a few clips of Chandan and the less I say about it, the better. You may sing praising of him, place on a pedestal higher than Rafi Sahib, but please do it in the privacy of your own home and do not expose it on this Forum ….. please , please please ! It is utterly annoying & agonising at the same time ! If you ever wish to show your writing (skill), do it on any other Forum and not here ! It is sheer miasmatic for me and for other lovers of Rafi Sahib ! I do hope that you shall respect the feelings of all lovers of Rafi Sahib and I thank you in anticipation. I agree with Sanjay banerjee. We are looking for nuggets of info on Md Rafi. No offence to Sri Chandan or ms Aparna, but comparing Sri Chandan to Sri Rafi especially in this forum, is not done. Sri Chandan may deserver all the praise for his talent and style , and I amsure many listeners would have already given the feedback. But using this forum to eulogise Sri Chandan , in a sneaky way, by starting with Rafi’s style of singing somehow leaves a bad taste. I am sure Ms aparna meant well while comparing Sri Chandan, but had it been two lines we could have read and passed on. But two whole paragraphs ?????? Shweta ji, it is indeed easy to criticise others. Yes I agree the article also mentions someone else who sings Rafisaab songs. Writing is a skill and at least the author has the backbone to write something and we must give her positive criticism so that next time the author can further improve. What i found sincere in the article was that the author is clearly fond of Rafisahab and her friend Chandan and i cannot see whats wrong with it. Yes I agree the article must focus more on Rafisaab but as I said writing is a skill and one gets better as he/she goes along. Hope this explains my position. this is not a website for chandan das, this article must be taken off at once. Salim bhai what sincere did you find in this article, please let us know as you are a major contributor in this forum. although this article is neither here nor there, views of post 4 are really very unkind . This dedication must be on the face book by forming a ” mutual admiration society for one another”. or else at a convenient music room where one can listen and the other sing. i agree with posts 1 and 3, a bit too much emphasis on Chandan whoever…. still thanks to the author for writing this out. Agree with Sanjay Banerjee. This article is more about Chandan than about our dear rafi saab. On facebook, chandan dedicates song for the author … tum jo mil gaye ho! what an irony. Very nice and sincere article. I too have seen Rafisahab singing life and its an experience i will never forget, simply sublime. I infact had a dream last night where i saw internal of the house of Rafi sahab, his tabla, harmonium and where he used to rehearse. I was also told in the dream that he was planning to sing a song with Pink Floyd, Anyone out there who has an knowledge of this. We dont need a rigged voting system to say who is the best and loved Indian, do we? The chandan fixation by the author is constipating. Do we need so Much of Him? and so less of our original ‘godly’ singer mohd rafi the great.